"A cold, and beautiful February morning (2016). 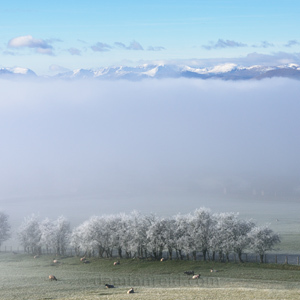 The cloud inversion covering Penrith was gradually clearing when I took this photo revealing hoar frosted trees in the fields near Beacon Edge. 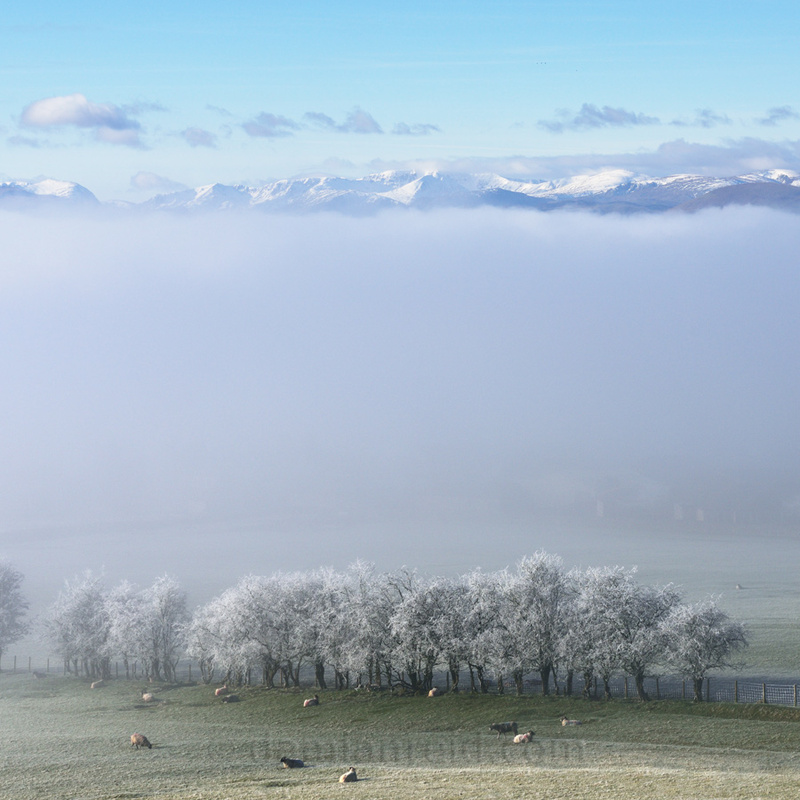 The tops of the Helvellyn range of mountains, including Dollywagon Pike, Catsycam, White Side, the Dodds and Helvellyn itself, looked stunning and as though they were hanging in the air above Penrith."